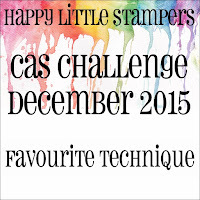 Today is the last challenge for 2015 at Happy Little Stampers CAS Challenge, which is for your favourite technique! A nice, open challenge in which you are able to do whatever you like best! I have chosen to do negative die cutting for my favourite technique, as it is quick, easy and more importantly, effective. 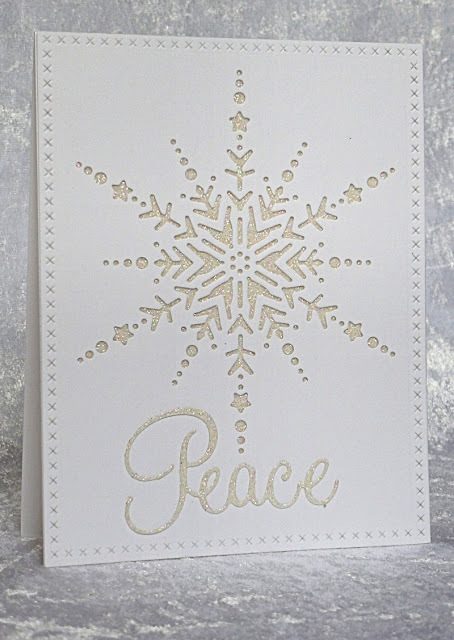 First I die cut a panel with the largest My Favorite Things 'Cross Stitch' rectangle die, then I used Memory Box's 'Dazzling Snowflake' die to die cut a 'window' in the front panel. 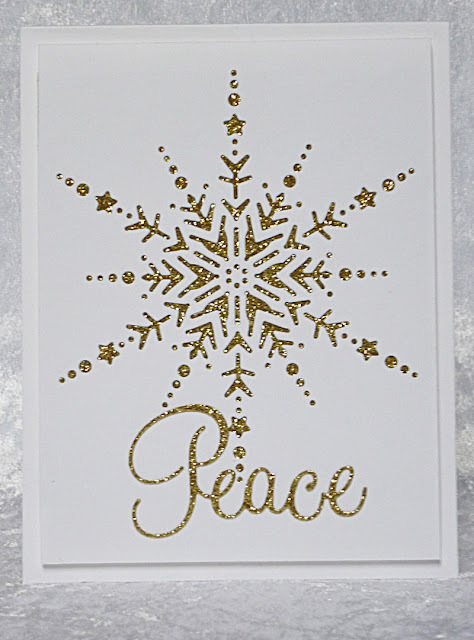 Next, I adhered a panel of Stampin' Up's 'Glimmer Paper' underneath and also die cut the sentiment from the same glimmer paper and adhered that to the panel. Finally, I mounted the whole thing on to a white card base. 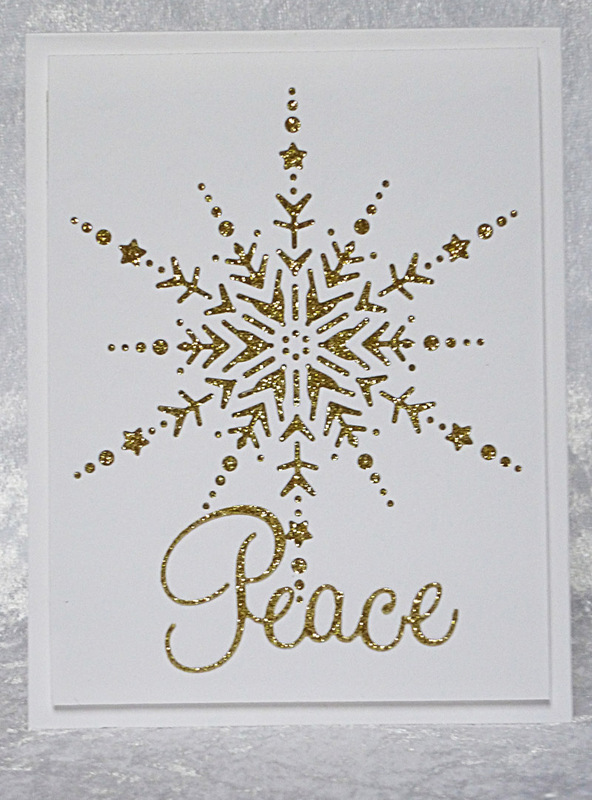 I also made a second one while I had all the supplies out, but this time I just cut the front panel a little smaller than the base card as I felt this design with the gold was better with just a plain panel. 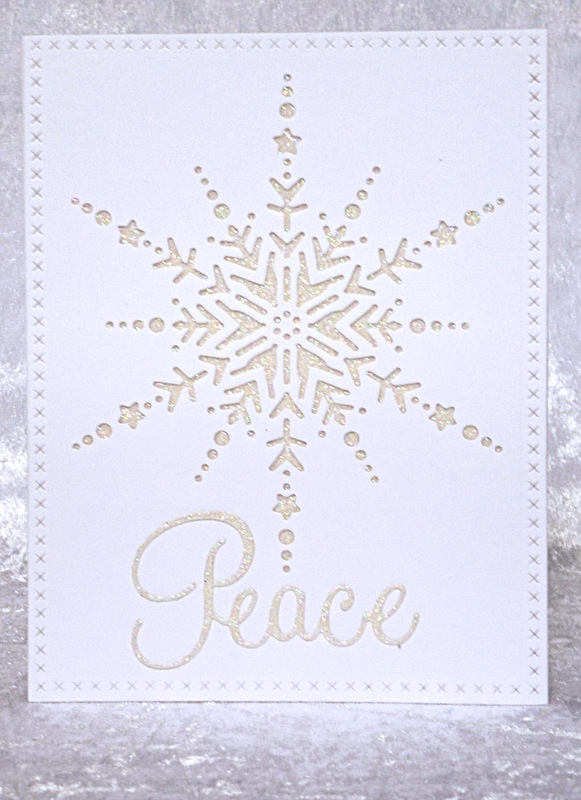 I used some of Stampin' Up's Glimmer Paper' in gold this time for behind the snowflake and the sentiment. 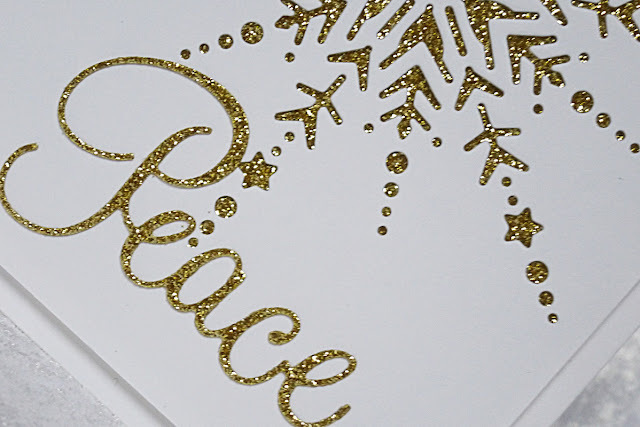 Why not head on over to the HLS CAS challenge and join in the fun! Happy Little Stampers are sponsoring the challenge and there are prizes to be won! Girl, I am so CASEing this. Love them so much! Agree with Linda that they're very elegant. Fab job! Wow! 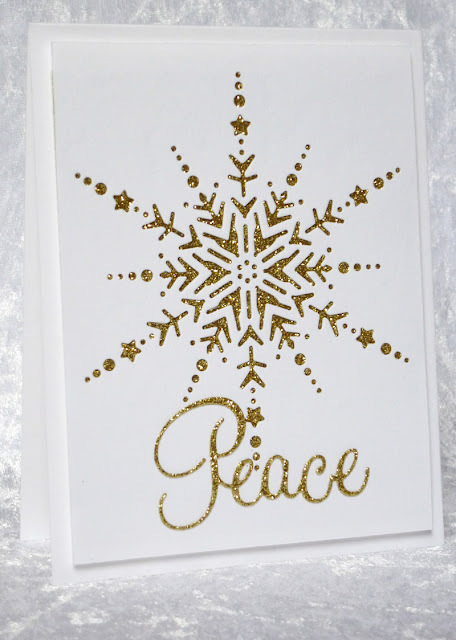 Totally beautiful card, Hazel! so pretty - especially love the one with the gold background!! Love both of your sparkly snowflakes - the cream and the gold are both gorgeous! This is awesome Hazel. The first one with the white and silver is my absolute favourite. 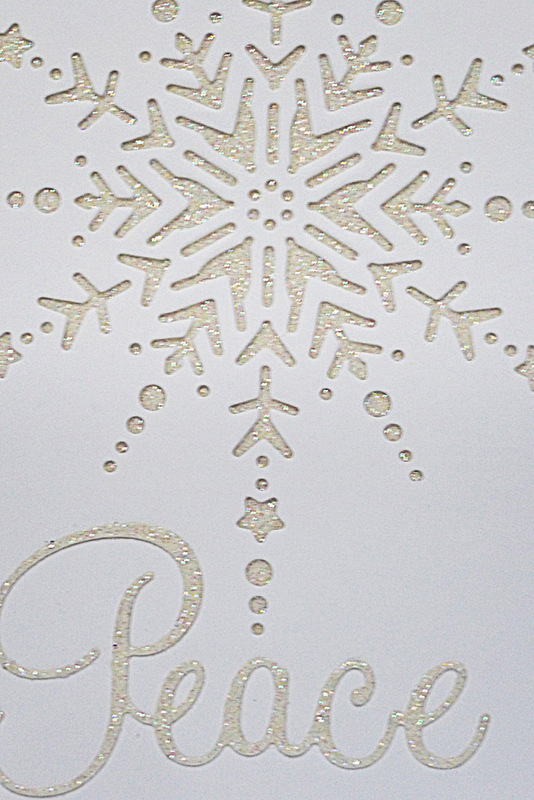 I love how the subtle sparkle shines through your die cut. Beautiful. 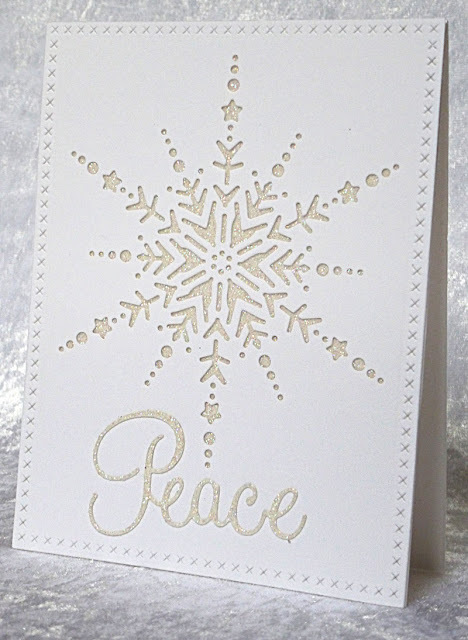 This is such a elegant design! very effective technique! WOW!!! This is stunning! 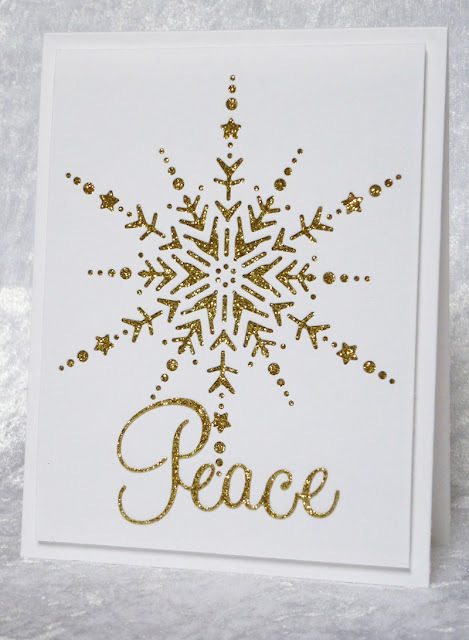 Love both cards, very beautiful! Really GORGEOUS cards, Hazel! 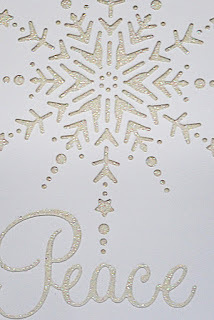 I really love the impact of the glitter peeking through the negative die cut...really elegant! Wow...2 simply stunning cards, just love that snowflake. This is so elegant both ways, my friend! 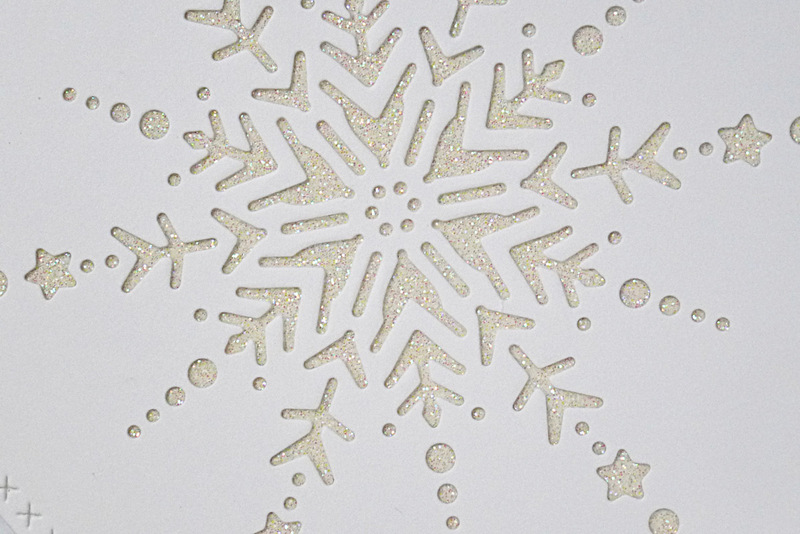 Love that gorgeous snowflake! Two beautiful shimmery cards! I love the look of the glimmer paper showing through the negative die cut.